There is one and one basis alone for your acceptance and mine. We are accepted by God in the Beloved. We are accepted by God, because of what Christ did on the cross. There is not a thing in heaven or earth that can separate us from His love. There is nothing in the earthly or spiritual realm that can divorce us from His care. There is no created thing including your foolish self, that can remove yourself from Him. No man or woman, principality or power can touch you.. Why – what is the reason for this ? Is it because of what you are or what you did? No…. Is it because you are a good Christian who reads the bible and prays every day? No…. 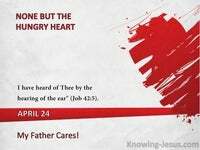 Is it because you have done lots of good deeds and witnessed about the Lord? No….. Is it because you have restrained yourself and tried to follow His good example? .No…. God’s faithfulness to you has nothing to do with you. 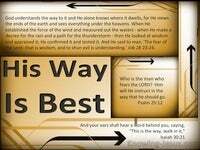 But it has everything – absolutely everything to do with the Lord Jesus Christ. You are accepted in God because He has accepted you in the Beloved. 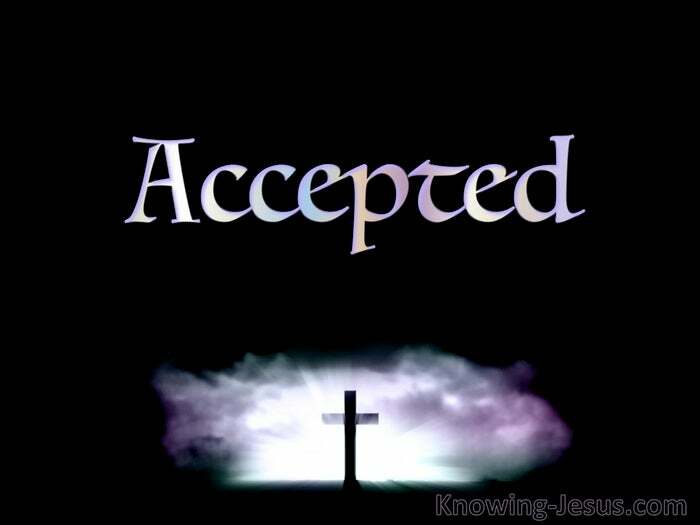 You are accepted in Him and you are accepted because of Him – and because of Him alone. There’s nothing too dark or vile that can separate a blood-bought believer from Him. There is nothing too good or worthy that an unbeliever can do to gain acceptance – except: believe on the Lord Jesus Christ. It never has and it never will depend on you.. for it all depends on Him. Many Christians find this total acceptance by God, very difficult to understand… and they spend much of their lives seeking to remain in His good books, by being “good” ..and so their foot slips, or temptation strikes, and they think His acceptance of them is lost. Not so. But there is one and one basis alone for your acceptance and mine. We are accepted by God – in the Beloved. We are accepted by God, because of what Christ did on the cross. Our heavenly Father is fully satisfied with His Son, on our behalf.. and nothing in heaven or earth can ever alter this truth. 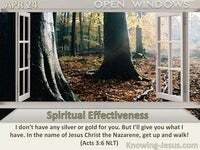 Nothing you can do, or omit to do, will influence His acceptance of you in Christ. Those times when days or years seemed dark, never influenced His acceptance of you. 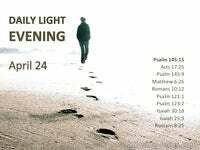 Seasons of rebellion, or periods when faith wore thin, never altered His love. He is like the shining sun, ever there to bestow His blessing upon His children. But dark clouds of rebellion or doubt, only hide His face, but never His acceptance. He has the finger of His grace upon your life, and He has engraved you on His hands. But like a wise parent with a temperamental child, He waits and He waits and He waits. It is those times when He appears to have withdrawn His every blessing from you… that He is drawing you closer to Himself, with cords of love for you, because you are accepted – accepted in the Beloved. 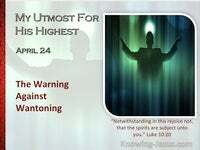 He is waiting for you to cease from your own strivings, in the spirit of helplessness. He is waiting for you, child of God, to accept His terms and not your own – for without Me you can do nothing. Who shall separate us from the love of God In Christ Jesus? shall tribulation; or distress; or persecution; or famine; or nakedness; or peril or the sword? Shall principalities; or powers; or things present; or things to come; or height; or depth; or any other creature? 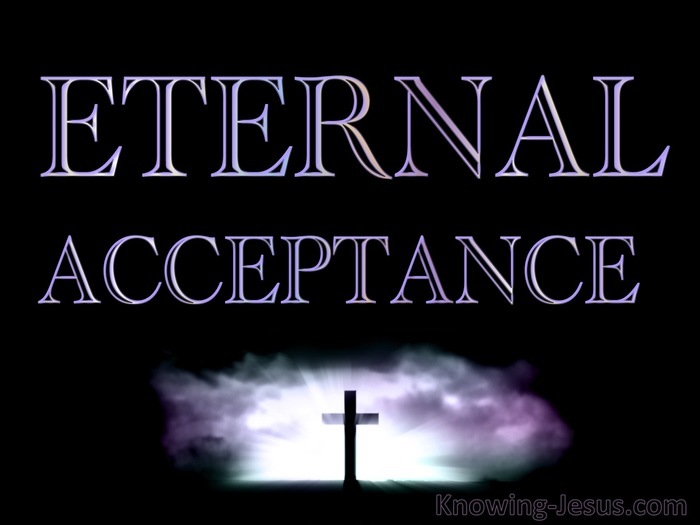 For I am persuaded that nothing shall separate us from the love of God..For we are accepted – eternally accepted, and we are accepted unconditionally in the Beloved. Romans 8:38.